The Stein Dental Group (Stamford) - Book Appointment Online! 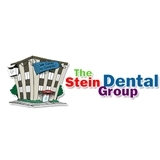 The Stein Dental Group has provided ideal dentistry to the stamford area for almost 50 years. Our general dentists and specialists are experts in dental implants, crowns, bridges, tooth-colored fillings, extractions, root canals, emergency care, braces, invisalign, and so much more. Our office allows you to see every provider to suit all your dental needs in one convenient location. Contact us for an appointment or same day visit. The staff is very accommodating and polite! The doctors explain everything thoroughly and always answer my questions! I can’t see myself going to any other place! Dr. Crew is the best. I have referred so many people to her and everyone raves about her. She is always on time and you never feel rushed. She is kind, personable and makes beautiful smiles. She is a very caring and knowledgeable dentist. I was in and out with minimal discomfort and feeling so much better knowing she did an amazing job. She’s the best I have experienced in my 40 years. Thank you.